I’m not sure what a nanobeagle is, besides the obvious… is this a thing? Anyway, Pixi’s awfully cute. I did a web search for ‘Pixi the nanobeagle’ and it brought me to this picture, which was linked to from this page. I wonder if that’s the same dog? 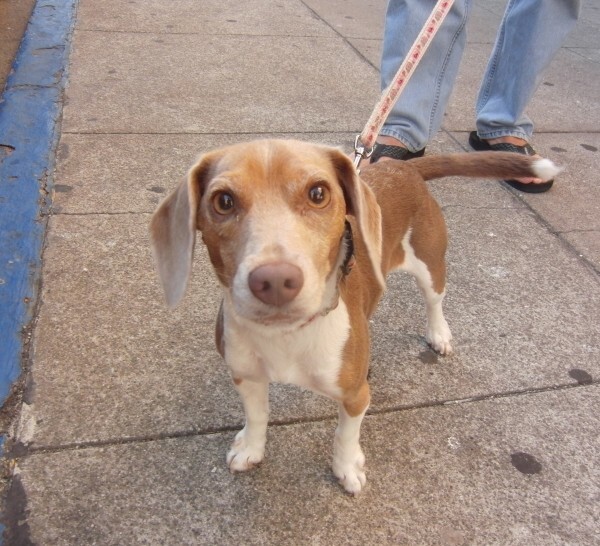 If so, she sure has lightened up in coloration a bit since the picture was taken. But the markings are close enough to identical otherwise that I wouldn’t be a bit surprised. Intent stare. I don’t think I even had any treats with me. 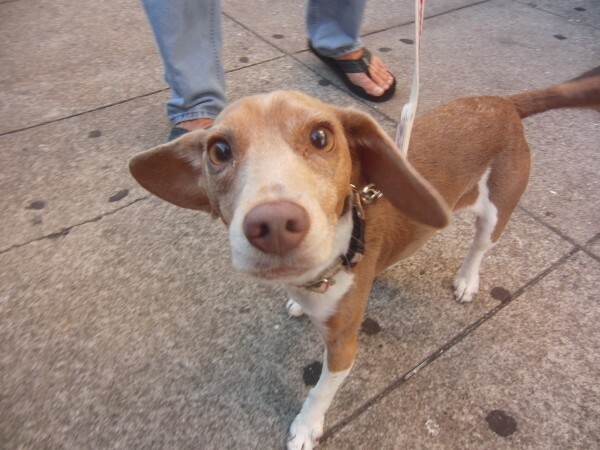 This entry was posted in Dog of the Day and tagged Beagle, Market Street, Union Square. Bookmark the permalink.